Honey is said to work as effectively as many over-the-counter cough medications. When your baby is a newborn there are a series of wellness visits designed to supervise and safeguard your infant’s health. I was so glad for these frequent visits to our pediatrician because as a first-time mama it gave me the peace of mind that my son was healthy and provided me the opportunity to ask a thousand questions. As my baby has grown into a toddler, the wellness visits are less frequent but the unexpected trips to the doctor ramped up: for winter colds, eczema that looked like a rash on his belly, and when Killian stopped walking, to name a few. While I am so glad to have team of doctors and nurses available to us at all times, I am also interested in at-home remedies for common ailments that would allow us to stay out of a germ-infested waiting room and avoid unnecessary medications. Lucky for me, I have a tribe of experienced mothers in my community that shared with me their favorite holistic hacks based on their combined decades of experience treating boo-boo’s. Apple cider vinegar has antibiotic properties. There are a ton of uses for apple cider vinegar because of its antibiotic properties which help to fight infections and diseases by boosting your immune system. Help to soothe an upset stomach and diarrhea by giving your little one 1-2 tablespoons of apple cider vinegar mixed with water (you can add a little honey to make this more enjoyable for your kids). Gargle ¼ cup of apple cider vinegar mixed with ¼ cup warm water to soothe a sore throat. 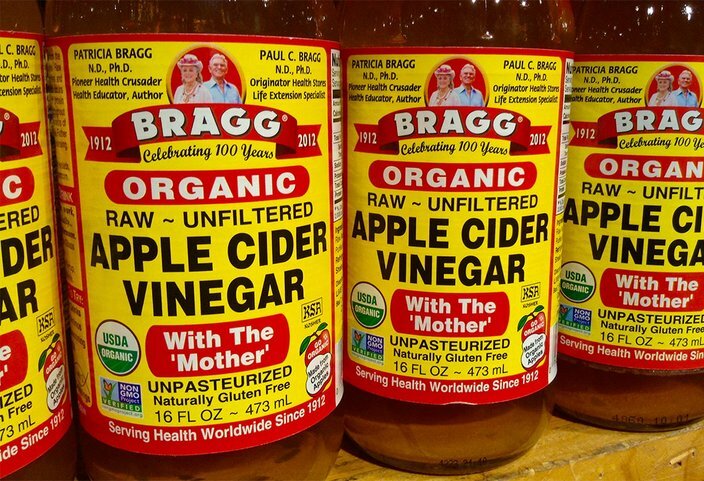 A teaspoon of apple cider vinegar can help alleviate hiccups. But do not give or take “shots” of the stuff because it is so acidic it can damage your tooth enamel and esophagus. Breast milk is a wonder liquid because it is the perfect food for your newborn and contains antimicrobial and disease-fighting properties. Aside from providing your baby with impeccable nourishment, there are a number of other great uses for mama’s milk. When Killian developed baby acne as a newborn, I dabbed some of my milk on his cheeks and it cleared up quickly. Breast milk application can also help with eczema, cradle cap and diaper rash. Some women swear by using breast milk to remedy eye infections and use it in place of saline to clear up stuffy noses. It is not an Old Wives’ Tale that baking soda has a number of awesome uses outside of the kitchen. If your little one gets stung by a bee this summer, mix some baking soda and water into a paste and apply to the site. Baking soda is also helpful to removing splinters because it helps skin to swell, drawing the splinter to the surface. And it is soothing in the treatment of sunburn. The same reason that you love a cup of chamomile tea before bed is why it can be great for your kids: it is super soothing and calming. Chamomile tea helps with restlessness and anxiety and can help your little one get to sleep, especially when battling a cold or struggling with the discomfort of teething. When Killian developed a bad upper respiratory infection last winter, our pediatrician prescribed warm chamomile tea with milk and locally-sourced honey before bed. Killian loved it! If your little one has a hard time settling down and going to sleep at naptime or bedtime you may want to try this herbal remedy. And make yourself a cup, too. 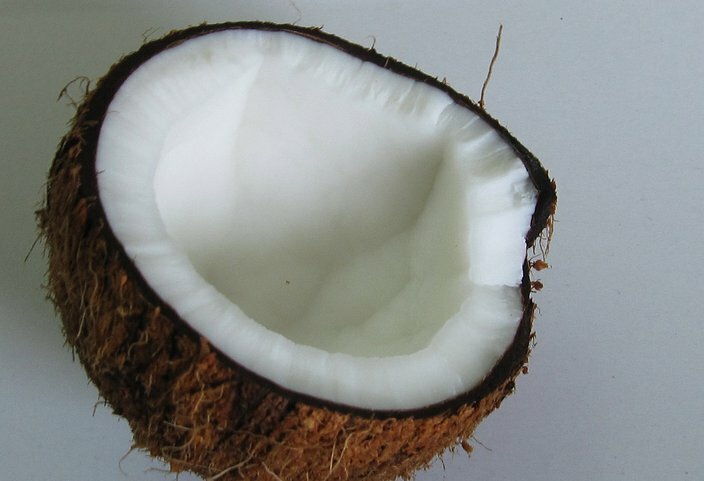 A halved coconut. Coconut oil is antimicrobial and antibacterial and can effectively treat diaper rash. My favorite diaper cream contains coconut oil for good reason. It is a healing, soothing, all-natural balm that is so much better for your little one’s tush than petroleum jelly. Coconut oil is antimicrobial and antibacterial and can effectively treat diaper rash. Soothe your little one’s sunburn by applying a cold compress and then coconut oil to their skin. Before you start slathering yourself in it, be aware that coconut oil is so thick it basically creates a waterproof barrier on your skin, which is great for a diaper rash but can clog pores and lead to breakouts, especially if applied to the face. 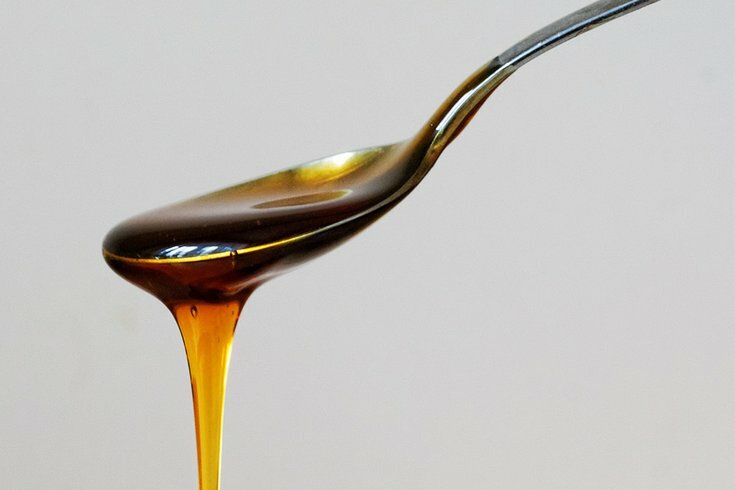 Honey is proven to soothe a sore throat and work as a cough suppressant as effectively as dextromethorphan, the active ingredient found in many over-the-counter cough medicines. When Killian and I have sore throats, we take a teaspoon of local, raw honey as needed to provide relief. Because it is delicious, this is an easy remedy to get your kids to swallow. But never give it to babies under one year old because, according to the Mayo Clinic, there is a risk of infant botulism, a rare but dangerous form of food poisoning. Lavender lotion applied to the skin after an evening bath can help ease children to sleep. Lavender essential oil has antimicrobial and antioxidant properties. It has been used for centuries for many different reasons. Whether soothing a scraped knee or soothing your child to sleep, lavender oil has you covered. Mix some lavender oil in coconut oil to make a balm to treat cuts, scrapes and burns or simply apply the lavender oil directly to the wound. (Be sure to properly clean and dry the area before application.) Use an aromatic oil diffuser to scent your child’s room with lavender and apply lavender lotion on their skin after an evening bath to help ease them to sleep. My husband and I do this, too! This is just a sampling of some of the alternatives available. 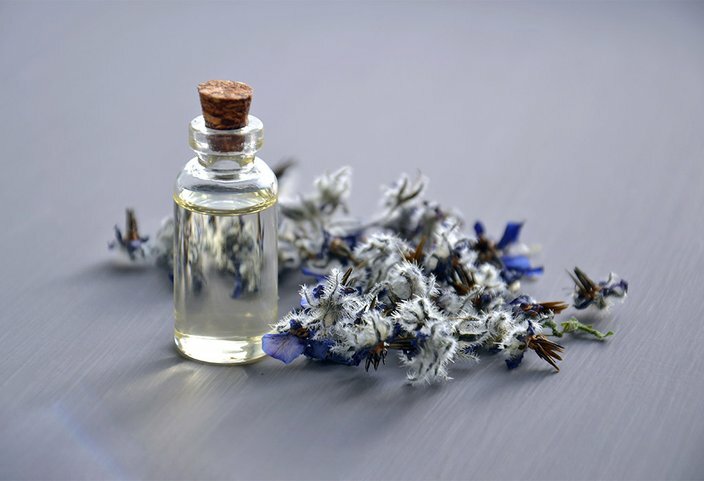 There are a number of other holistic hacks that parents that I know swear by – like peppermint and ginger root to soothe upset tummies, oatmeal for skin care, raw onion to soothe a bee sting, tea tree oil to repel bugs like ticks, and aloe vera to treat cuts, sunburns and skin infections. Even though these are all-natural remedies, never let your children use any of them without adult supervision and if you are pregnant or nursing consult your obstetrician before using on yourself. As a mother trying to raise my baby as naturally as possible, I am thrilled to know that so many common ailments can be treated with items in my pantry instead of with unnecessary medication or products containing chemicals. I have experienced and witnessed the wonderful effect some of these holistic hacks have first-hand but I am also a proponent of western medicine and believe the most important ally in your child’s healthcare is your pediatrician. If your child develops an illness or unusual symptoms, you should always talk to a doctor. Chances are many of them will agree that these holistic remedies can naturally and effectively treat some of your little one’s ailments. What are your favorite “Old Wives’ Tales” and at-home holistic remedies? Share with me and other parents in the comments section below or Tweet me @ThePhillyVoice and @KathleenEGagnon.